Log in to edX Studio. In the My Courses page, select the course you want to develop. When working in a course, to open the outline, from the Content menu, select Outline. The first time you view an outline for a course, it contains no content. You must create the first section. As this example shows, the course is organized into the following levels. 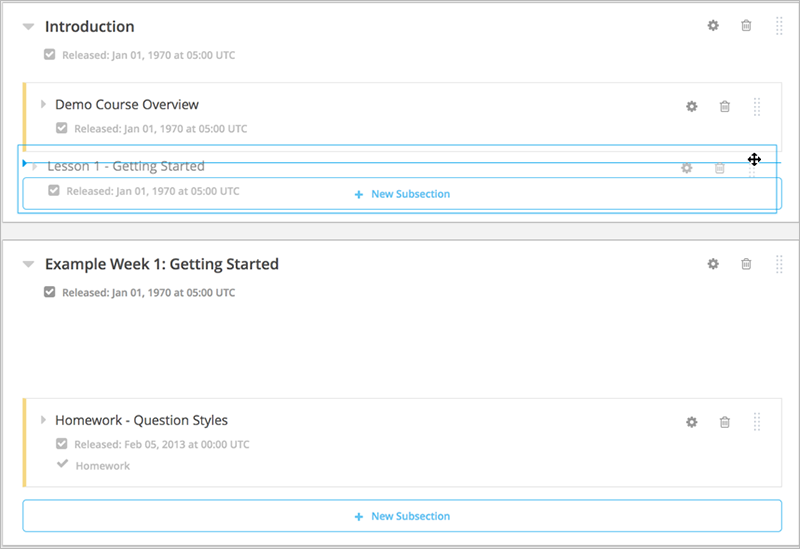 Sections are listed in the course navigation pane. Learners select a section to see the subsections that it contains. 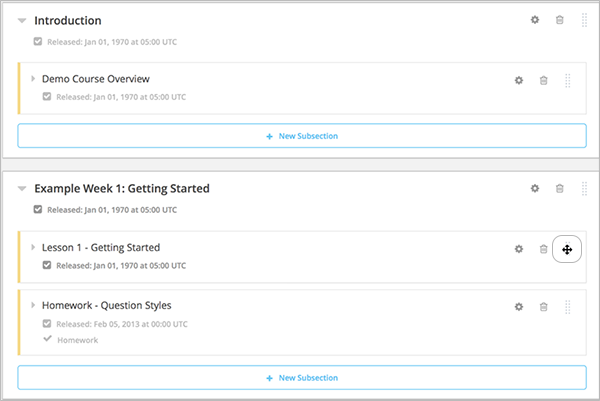 Subsections are listed in the course navigation pane after a learner expands a section. 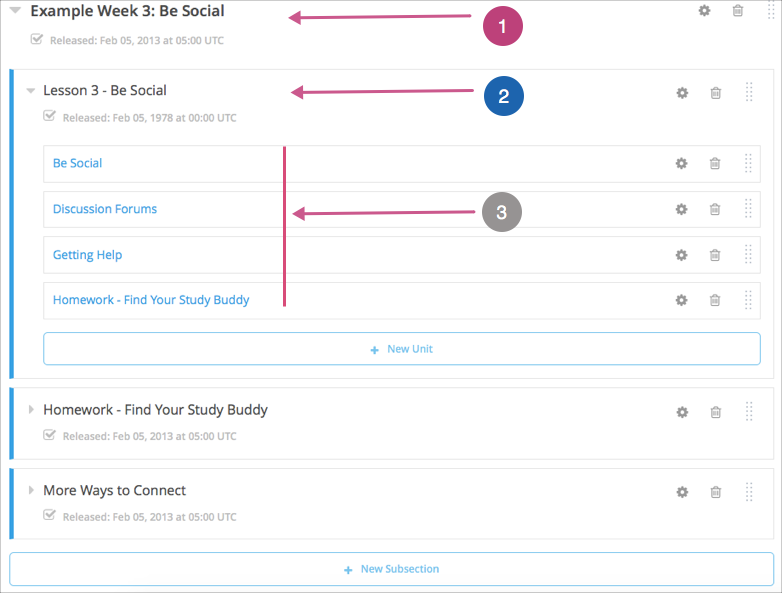 Units appear in the unit navigation bar, represented by icons, after learners select a subsection. A tooltip with the unit’s name appears when learners move the pointer onto an icon. 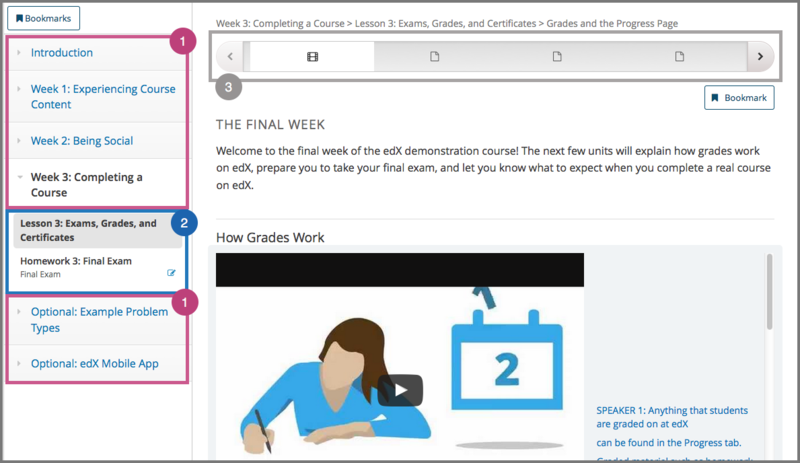 Learners select icons in the unit navigation bar to access course units. They can also use the Previous and Next options at either end of the unit navigation bar to move back to the previous unit or forward to the next unit. 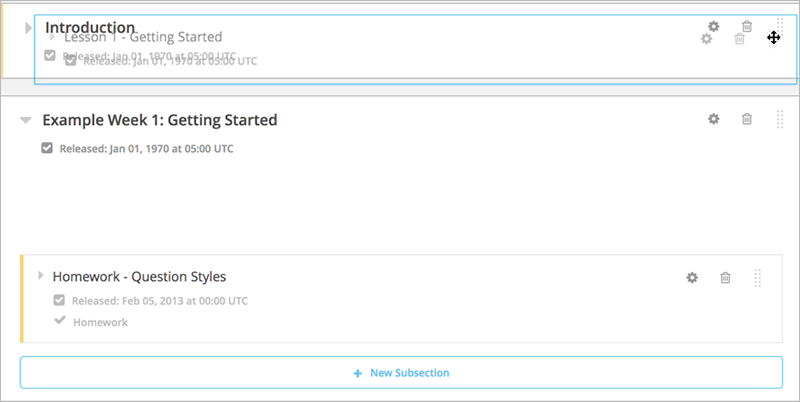 You add sections, subsections, and units directly in the outline. To add a unit to the end of a subsection, expand the subsection and select New Unit. To move a section, subsection, or unit, move your cursor over the handle on the right of the object’s box until the cursor changes to a four-headed arrow. For example, in the image below, the handle for the subsection Lesson 1 - Getting Started is selected. Then, click and drag the object to the location that you want.